In the next step of our journey to help non-reward professionals understand the concepts of total reward we’re going to take a look at the effectiveness of incentive plans and what role they play in supporting employee motivation and performance. What is ‘Variable Reward’ and where does it fit in your overall Reward Strategy? Have you ever met someone who says they’re overpaid and underworked? Unless you’re working in your dream job with the comfort of not needing an income, everyone needs some form of of ‘incentive’ to front up for work every day. For an organisation to perform at its optimal levels, it needs to attract the best staff and retain them. In a world where job loyalty can often seem like a distant memory, organisations will look to competitive reward strategies to help recruit and retain the best people. Whether it’s a financial bonus, commission, profit share or the like, there is plenty of research that argues the pros and cons of these types of ‘Variable Reward’ plans and how they can have a counterintuitive impact in particular scenarios. Based on research here and in the UK, we found that reward professionals agree that incentive plans are a necessary part of the reward offering but they also agree that these plans are not always implemented as well as they should be. Looking at the research (some of the key questions are highlighted below) we wonder whether there may be an element of ‘conditioned thinking’ – i.e. 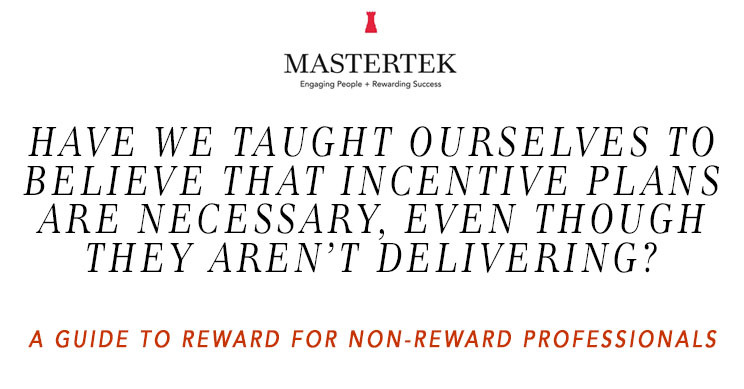 we’ve taught ourselves to believe that incentive plans are necessary, even though they aren’t delivering! It doesn’t take a professional to work out that financial reward is a key bargaining chip when it comes to developing an effective employment package, but what role can ‘Variable Reward’ really play in the bigger picture of employee reward. Let’s look at it in the same way as a person that drinks a Red Bull (other energy drinks are available!) to try and get through a marathon. They might be quickest off the mark over the first 100 metres, but once they hit the first corner it could be game over. This is a simple way to look at the counter-intuitive nature of a traditional incentive scheme. When that initial burst wears off, the short-term benefits of your incentive plan can start to disintegrate. Then what happens next? It’s time for another sugar hit to get you through the next 100m. Without talking anymore about physical activity, hopefully you can see that this type of practice is far from an ideal way to incentivise staff, long term. By leaning on short-sighted boosts to incentivise staff, your employees not only become dependent on constant ‘sugar hits’, but it can get to a point that no matter how much the value of the incentives increase, staff can become almost immune to the offering. There’s so much more to the psychology than that but we think it sums things up pretty well. So, if a traditional incentive plan is a ‘Red Bull’, what’s the workplace equivalent to a healthy diet and regular exercise? Although you can’t ignore the positive side effects of these types of schemes – they should be partnered with other forms of reward such as investments in structured talent management and personal development initiatives that add to a more holistic concept of reward. Is there a future for ‘Variable Reward’ in a contemporary workplace? 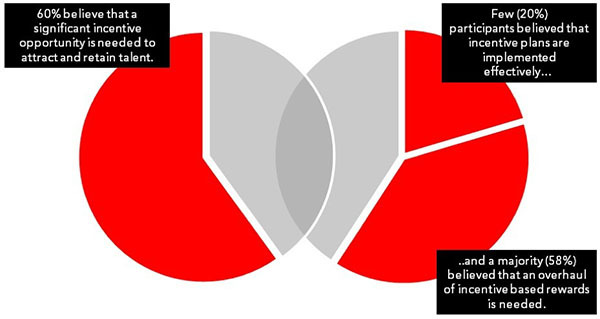 At Mastertek our research has shown that there is a positive role that variable pay can play in a well-led-organisation. From the outset, your incentive plans should align with your organisation’s overall strategy. If nothing else, an incentive plan can offer a band-aid fix in a time of need, but don’t expect it to have an infinitely positive impact on your organisation. Regardless of what your ‘Variable Reward’ scheme may look like; it cannot substitute hands-on leadership. Keeping this principle front of mind will vastly improve your chances of designing a ‘Variable Reward’ offering that has a positive and long-lasting impact. Stakeholder Engagement; Some of the best decisions are made in the dugout, not the boardroom table. Go beyond just the consultation of senior executives and allow those who you want to influence, to have a say in the build process. Current State Review and Drivers for Change; What’s working and what’s not? You must approach this phase with honesty and accept the reality of the current state. It’s not about pointing fingers if things haven’t been working, but understanding WHY? This will help you shape future plans. High-level Design and Strategic Alignment; Address any shortcomings of the current arrangements. How well established are any related processes or programs that your incentive plan relies (e.g. performance management systems, leadership frameworks, business/sales processes)? Detailed Design & Documentation; It is critical that any plan design is supported with a detailed set of terms and conditions. In almost every case we’ve worked on, issues that would otherwise undermine the plan only come to light when partnering with clients to draft detailed ‘Plan Rules’. You must consider all the ‘what if’ scenarios that may arise when the plan is put in place. Implementation Planning & Execution; We can’t stress enough the importance of clear and consistent communication, ensuring everyone involved understands the objectives of what’s being put in place and offering plenty of time to digest the new arrangements before going live. Post Implementation Review; Think of this as an extension of both the implementation AND design phases. Depending on the scenario it is wise to review after 3, 6 and 12 months to consider whether the plan is in fact having the desired impact. For those wanting more, next week, we will look more closely at how you can build an effective ‘Sales Incentive Plan’ – one of the more complex types of variable pay commonly utilised by those seeking to ‘drive performance’.